Capable of assisting you in all your adventures the Skoda Yeti Outdoor is s sturdy and practical solution. With impressive ground clearance and electronically controlled 4 wheel drive the Yeti Outdoor is built to go anywhere. Rugged design with the practicality of a family car makes this a car for the weekday and weekend. Available with 7 engine choices including both petrol and diesel versions with the most powerful providing a 0-62mph figure of 9.1 seconds. You can also choose from sequential automatic and manual gearboxes. The interior is spacious as you would expect from the higher roof and the high quality materials used are a nice touch and can withstand heavy use. The dashboard is clear and well laid out with ease of use the main focus. The optional extra panoramic sunroof is a great addition. Boot space is equally impressive with enough room to pack all your outdoor gear in the 416 litre boot. Should you require more space than with the seats down you get 1,580 litres of space. Save time and money when doing your research into purchasing a new Yeti Outdoor. Don’t be confused by the various offers online. We can search for you to retrieve the latest deals on a new Skoda. Our process couldn’t be simpler, just fill in the online form and that’s it. Full finance options are available should you get to the purchase stage. 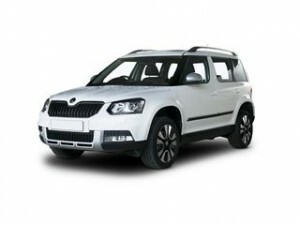 Coast2Coast Cars worked directly with Skoda franchise and dealerships enabling us to find the latest deal to suit you. Simply quote, compare and purchase.